Warm (upper 80s F.), mostly cloudy afternoon 1400-1630 hours. 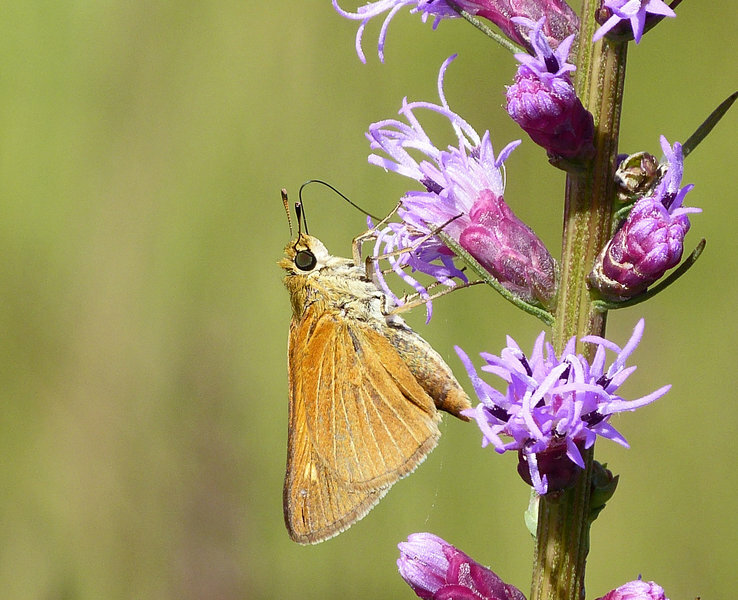 Few nectar sources except for Liatris spicata, which was in full bloom. This is only the third record of this species in Canada. 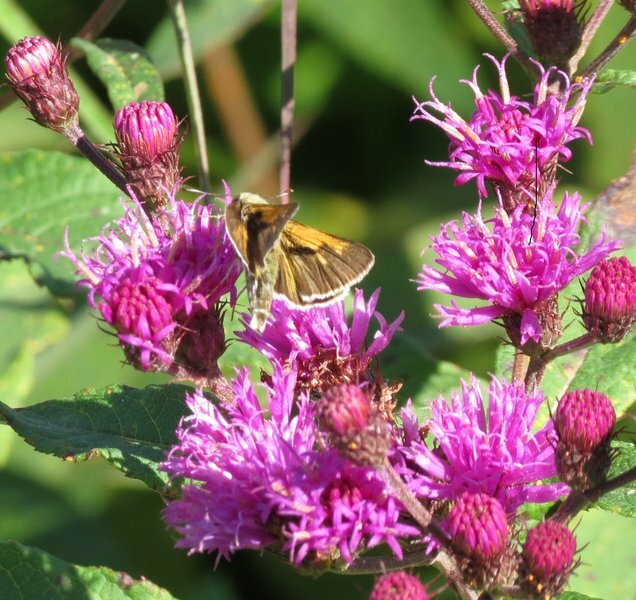 Nectar sources included ironweed, boneset, and swamp milkweed. 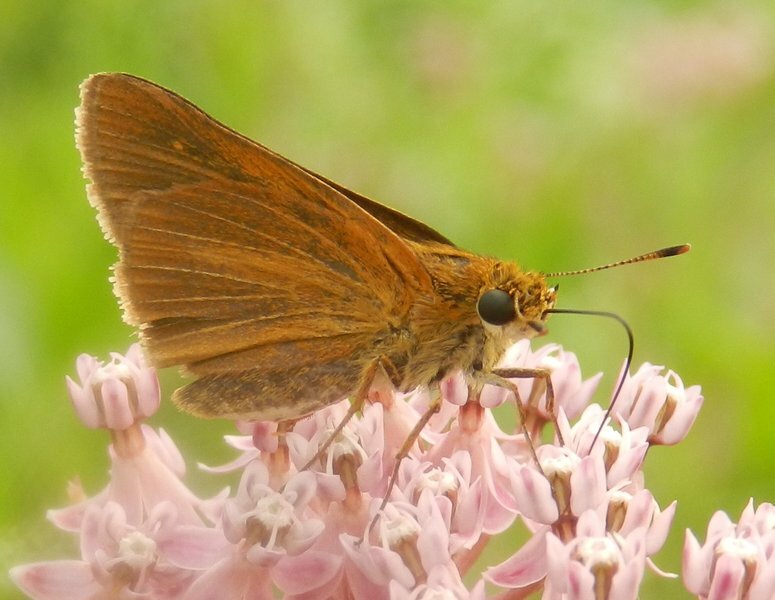 also possible Dun Skipper, Little Glassywing, and Appalachian Brown. Very warm, mostly cloudy with passing showers and intervals of sunshine. All species seen along the boardwalk over the marsh or within a few hundred feet of the boardwalk. In the field from 1400 hours to 1730 hours. 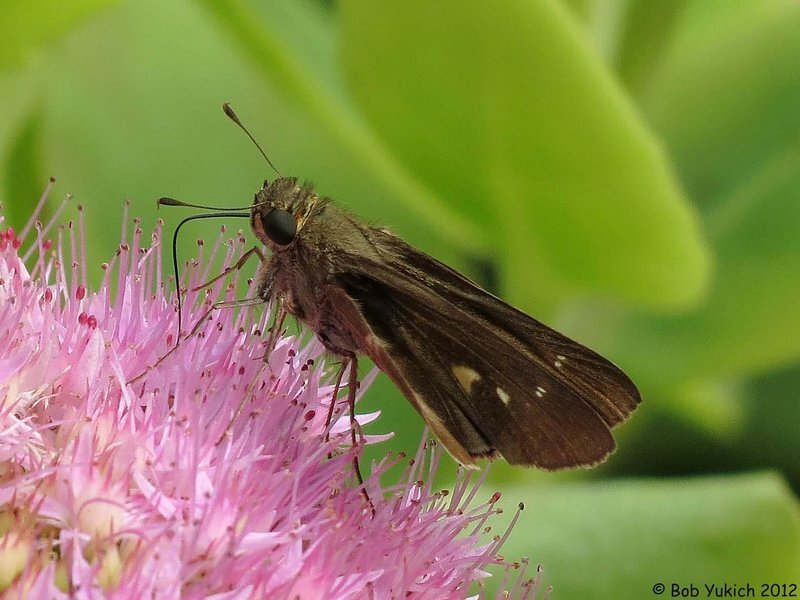 Nectar sources included swamp milkweed, Mikania, jewelweed, ironweed, thistle and Joe-pye weed. Sightings recorded over 2 hours and 35 minutes. Habitat: Gravel road through mature upland woods with large restored prairie. Great Spangled Fritillaries were surprisingly abundant, especially on thistle, but Monarchs were scarce. 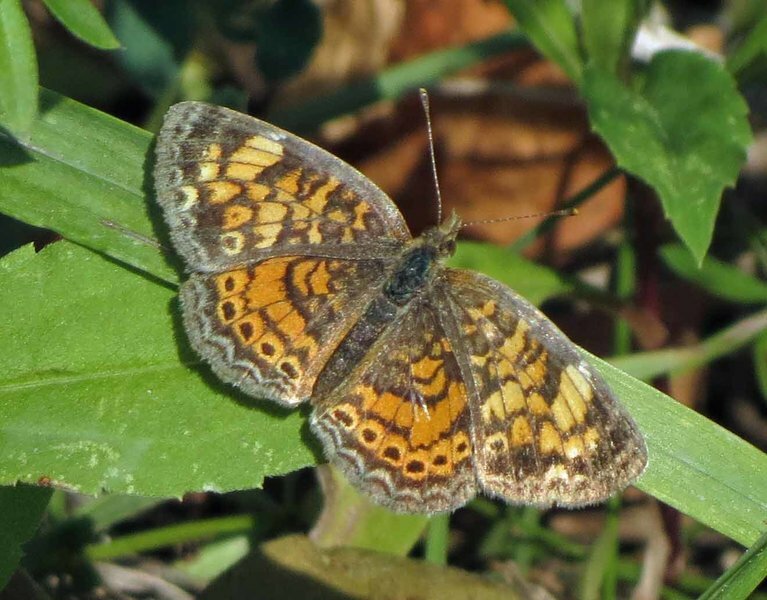 The Variegated Fritillaries represent the emergence of the 4th brood at this location. This is probably the 1st year ever Northern Ohio has seen this occur! 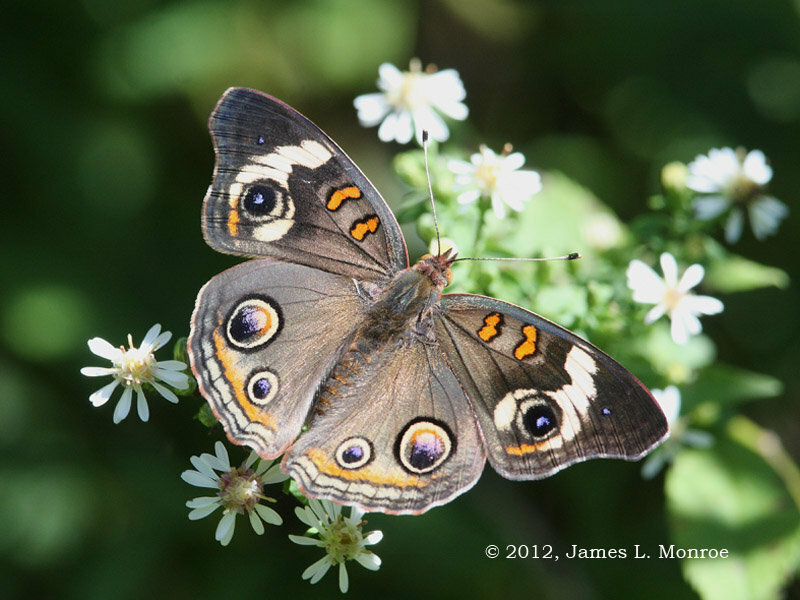 The flower garden at the Mustang trailhead was full of butterflies, mostly Sachems. Cloudy, but lots of activity. The first time this almost mythical butterfly has allowed me to get a good look at it. Its skittish, hyper behavior made it grab my attention (as compared to much more docile Black Swallowtails). I immediately looked for the hw eyespot (w 10 power Vortex binoculars) and could see it was a ringer for an Ozark ST. I ran inside to get my camera and she was still nectaring on wild thistles in my adjacent, woodland encircled meadow. 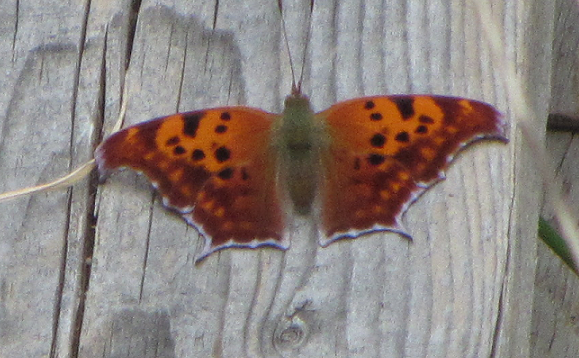 I was able to get a few images (she never stopped fluttering). 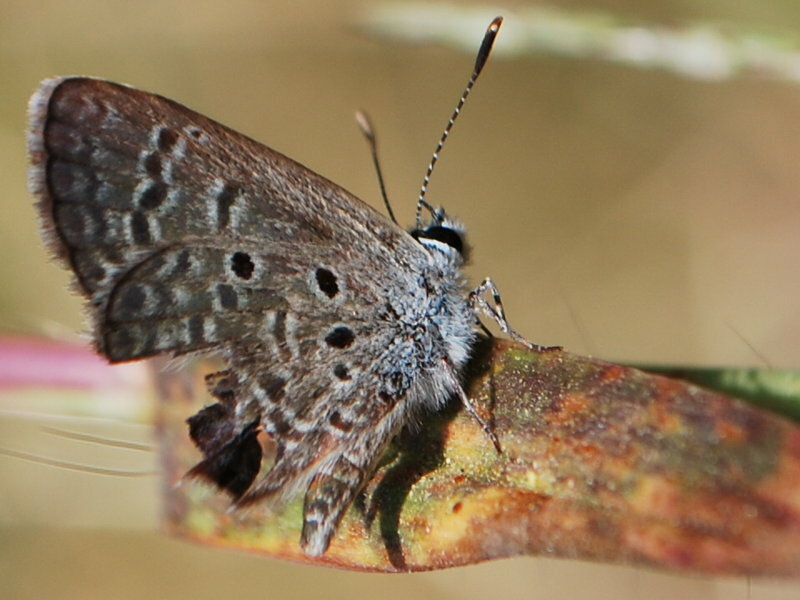 I have experienced this butterfly before on neighboring woodland openings on the high rocky ridges of Powell Gardens but it has never allowed a close look to confirm an identification. First one seen here this year. No longer common. 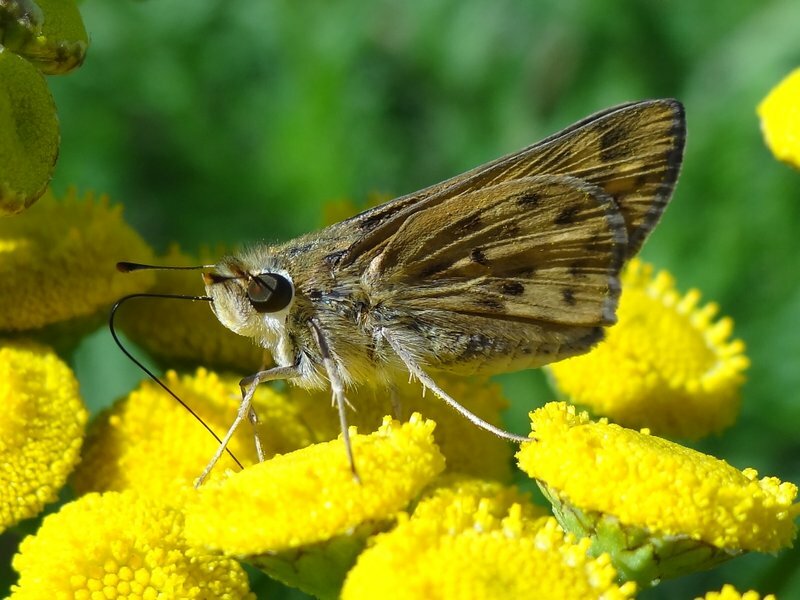 Observations made between 8:20 a.m. & 9:55 a.m.
Observations made between 11:00 a.m. & 5:45 p.m. Also, the Ocola skipper was seen off of White Marsh Rd. near Washington ditch. 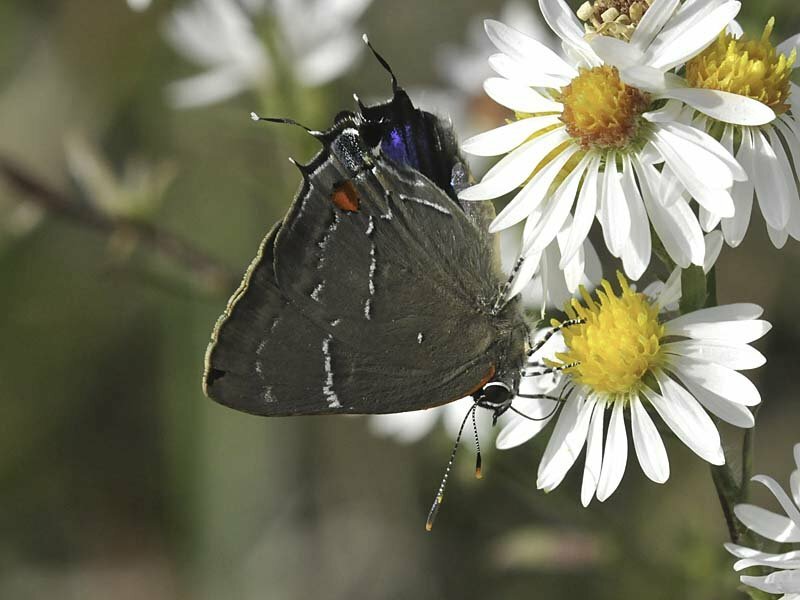 Red-banded Hairstreak is rare north of N.Y. City; Sachems were once rare in Rockland Co. but no longer are; Dun Skipper is fairly regular at this site in late summer, a possible / likely second brood here. Observations made between 11:10 a.m. & 5:25 p.m. under partly sunny skies and a humid 90 degrees. Observations made between 8 a.m. & 10 a.m. under mostly cloudy skies. 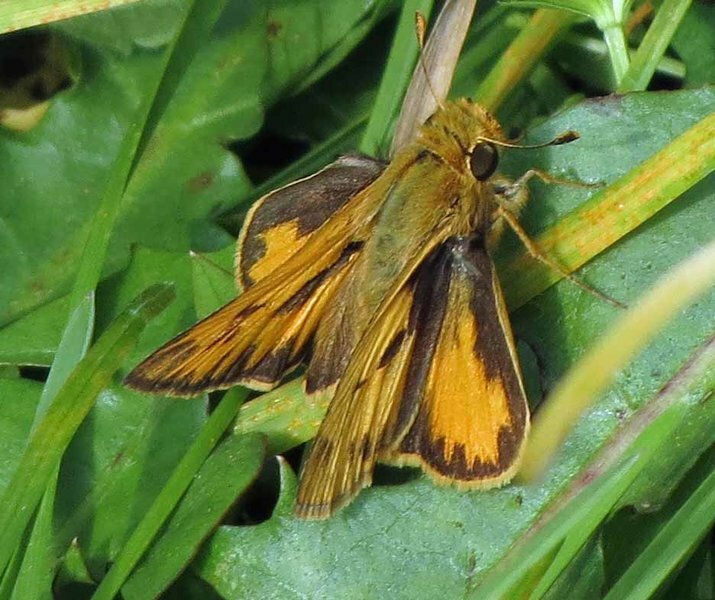 The Yehl skipper was observed along White Marsh Rd. Sightings recorded over 3 hours and 5 minutes. 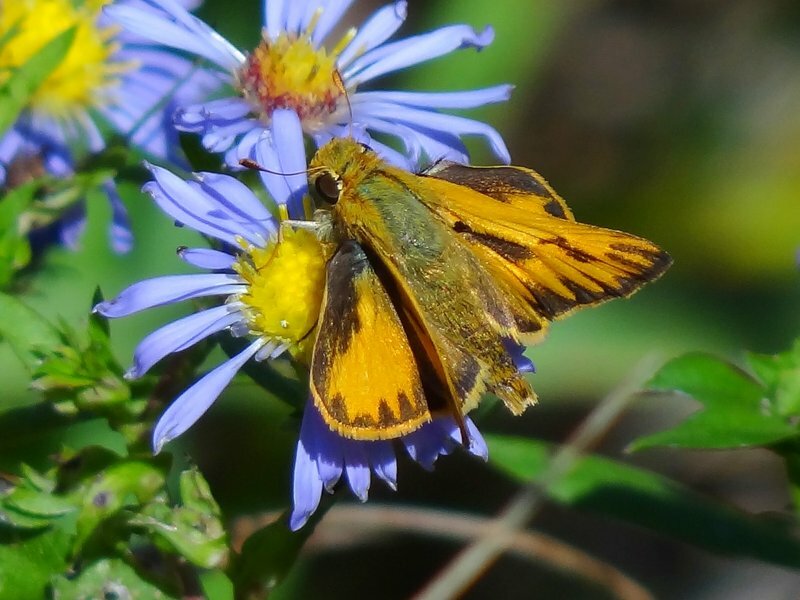 Photo shows male Leonard’s Skipper. Not much activity, but Little Yellow and Sleepy Orange were new to me for the area. Warm and humid but good amount of activity. This section of the park is from the Cub Run Recreation Center north to Bogel Road off of Stonecroft Blvd. 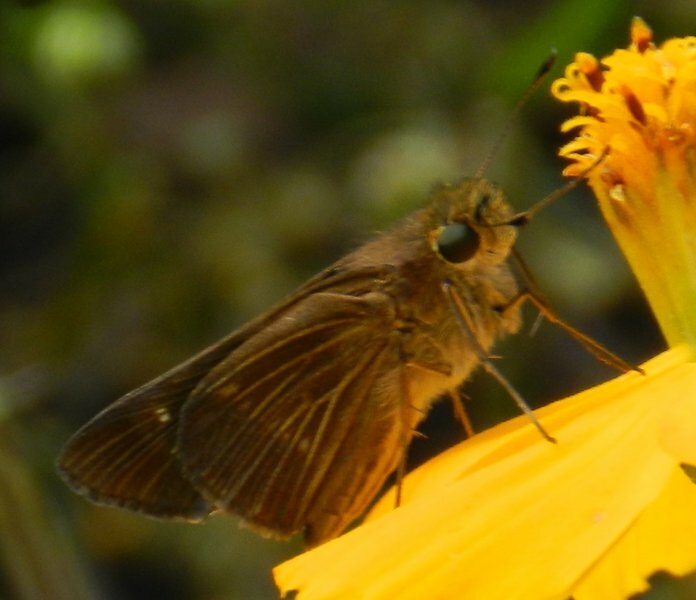 There were probably one or two other skipper spp. there but didn’t have the time to take a detailed look. 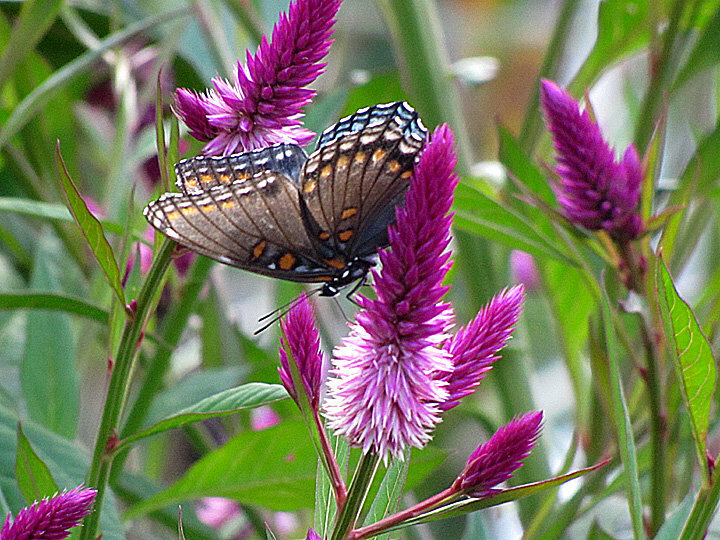 Most of the butterflies were all over the sedums in the garden. Between 10–11:30 A.M.; Male Bronze Coppers still out; Eastern Tailed-Blues and Horace’s Duskywings confined to path extending from road along the canal; surprisingly no Monarchs! from community gardens and nearby cricket field/nature area. painted ladies remain abundant, though now mostly worn . 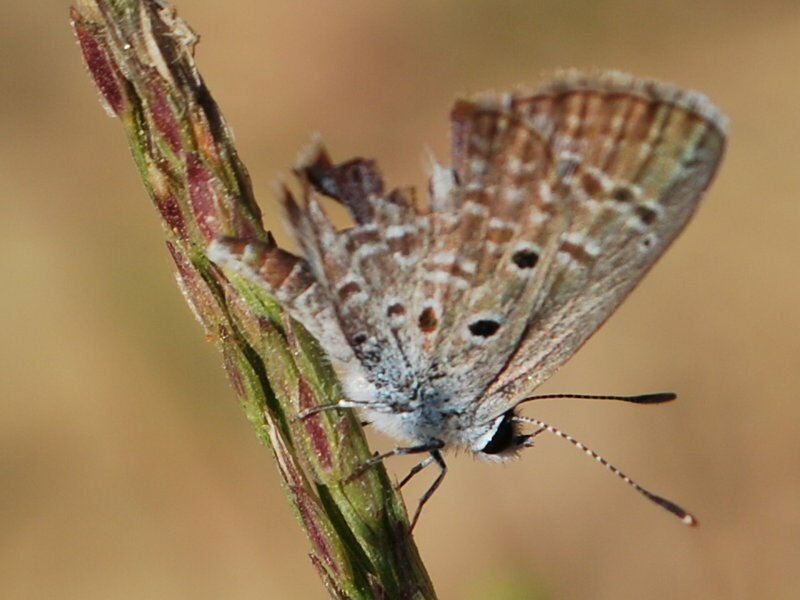 quite a few individuals of various species were tattered or missing entire wings. tawny emperor was spotted flying around and landing in the north end of the parking lot while we were grabbing lunch out of the car, and was rather worn. totals include one cloudless sulfur from the south end of the bridge across Broad Channel. 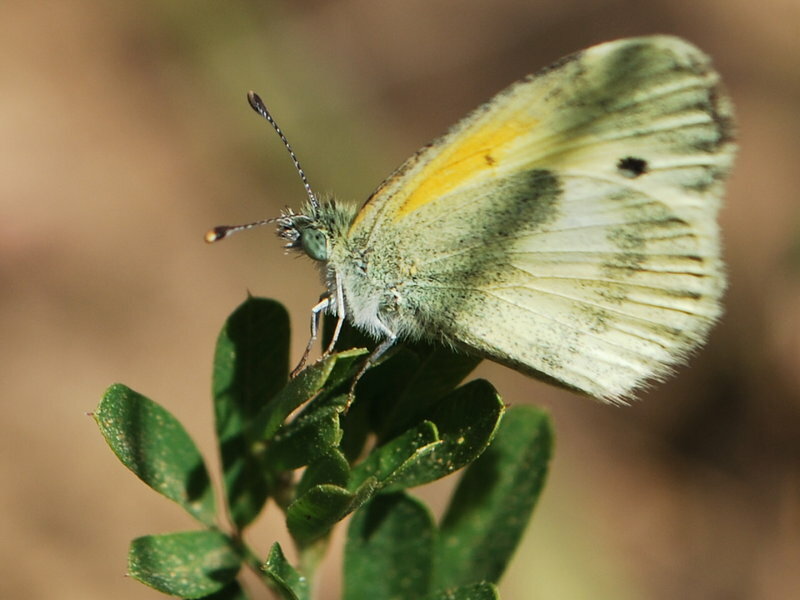 lots of white butterflies that we didn’t check for cabbage vs checkered…. Sightings recorded over 4 hours, within 10:20 am - 3:15 pm. Habitat: Mature upland woods with prairie on steep south- and west-facing ridgetop slopes. Walked the River, Shale Barrens, Red Tail Ridge, Big Oak and Culler Trails. 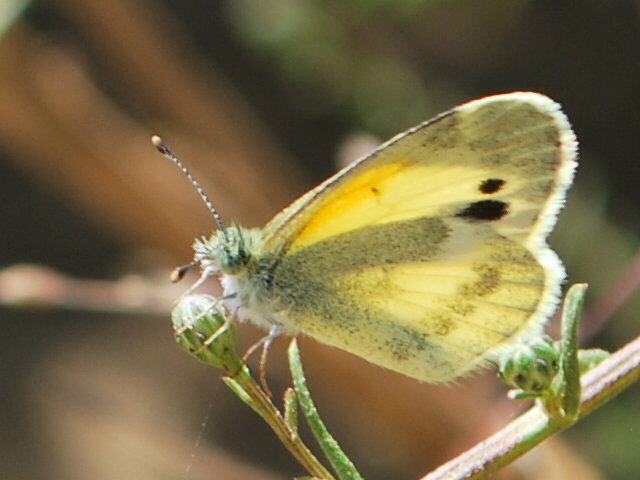 all species seen had also been recently found by other butterfly observers in some of same or nearby areas of this park. 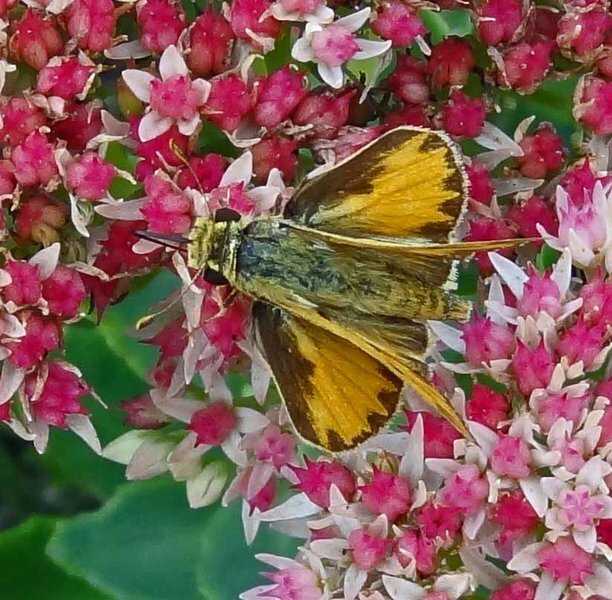 Crazy day for Fiery Skippers having been seen almost every day for 6 weeks. About 1/7 of the total were seen in Cornucopia at the Marina on the south shore of Lake Superior. The rest were seen in Washburn. Almost all showed little or no wear. Just about all the Sachems showed slight to moderate wear. They also have been noted almost every day for the last 6 weeks. While driving around on my job, I observed many Monarchs flying across roads and residential neighborhoods, perhaps more than half headed in a more or less Southerly direction. 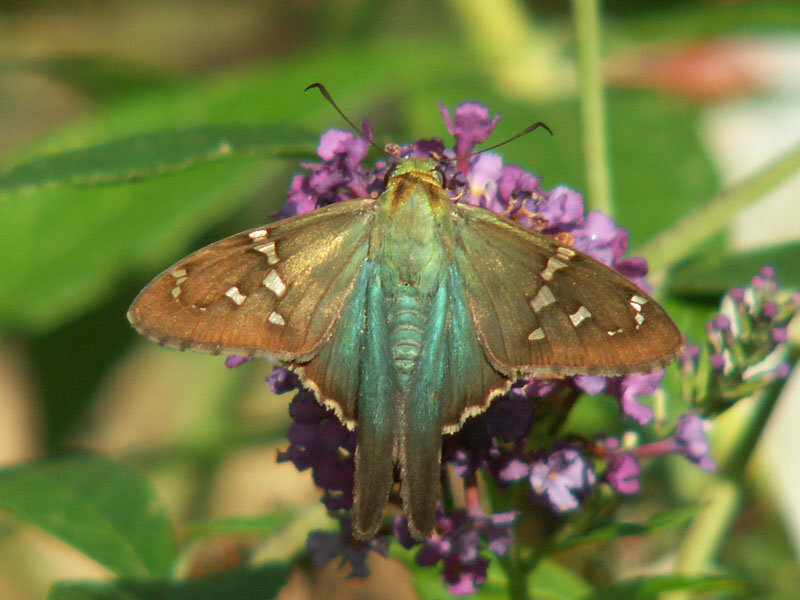 Red-spotted Purples noticeable in residential areas. 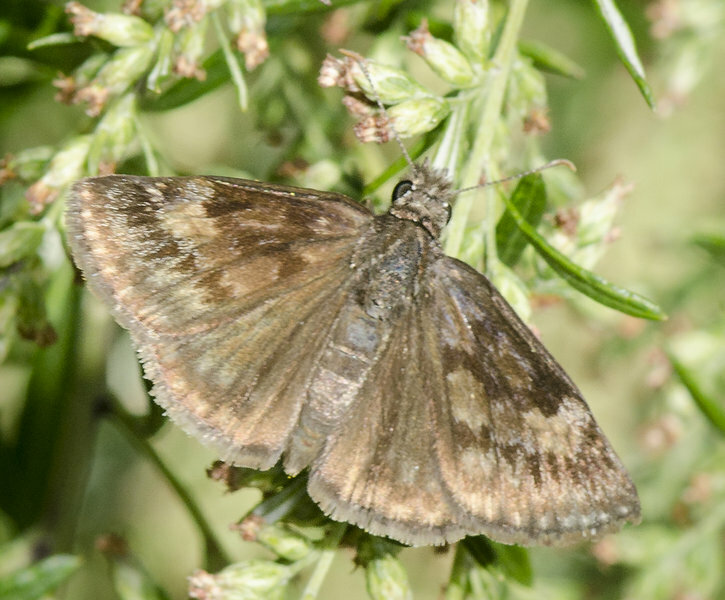 Skippers difficult to I.D. from car, but included many Sachems. New Bridge Road from Ravenwood Road to bridge over Chicamacomico River. Great Purple Hairstreak in photo ambushed by mantis but escaped. A large portion of the natural areas of the arboretum were not open to the public due to a closed set for a movie shoot (Noah’s Ark, and, yes, there is an enormous set piece ark there). My first Long-tail in Nassau County. Main Nectar source Genus: including Carphephorus, Liatris, Diodia, Dalea, Eryngium, and Solidago. Viceroy is uncommon at this location, and was chasing Monarchs. 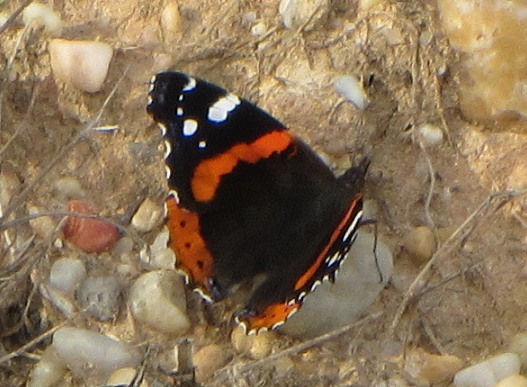 very freshly emerged Question Marks, Mourning Cloaks, and Red Admirals in good numbers. Reduced numbers of Painted Ladies. 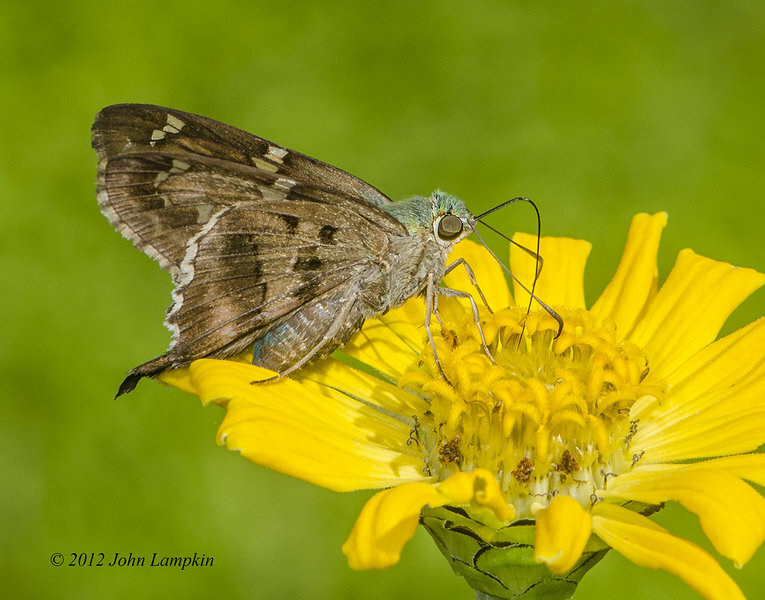 This is the first Long Tailed Skipper I have had in the yard. 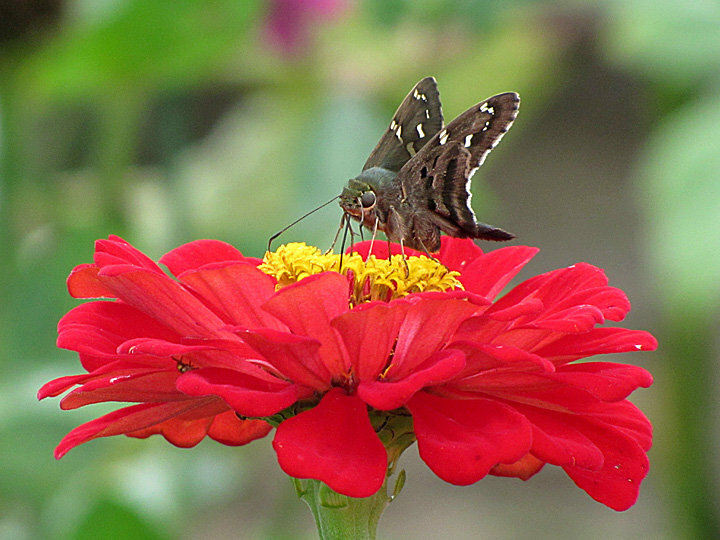 Feeding heavily on Zinnias along with Painted Ladies. Have only seen one other sighting a couple of years ago in this area of a Giant swallowtail. I also found eggs on Prickly Ash. Have seen GS in Washington County before. 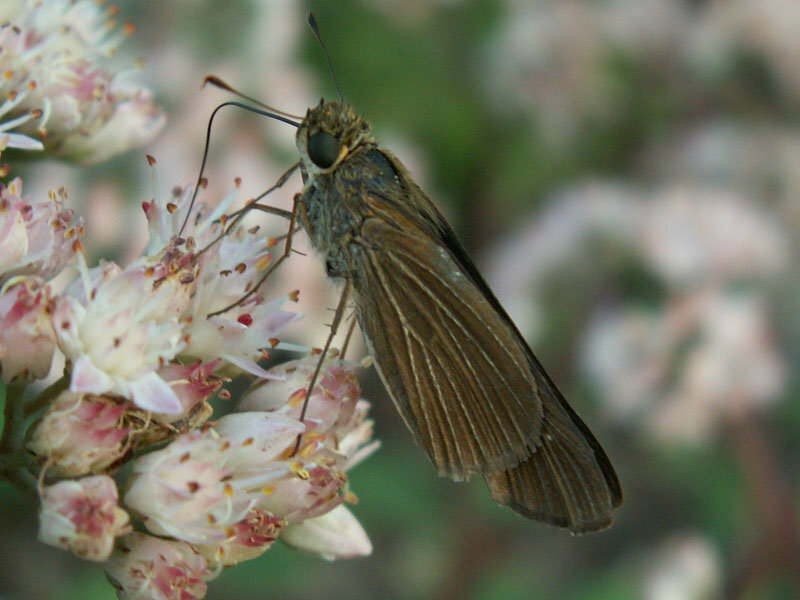 This butterfly was nectaring on Eupatorium greggii in a residential garden. I saw only this single specimen. As part of the golf couse, Matt is committed to maintaining extensive and varied natural areas with native plants as well as some non-native nectar sources like Buddleia davidii. Sightings were from September 17th - September 20th. 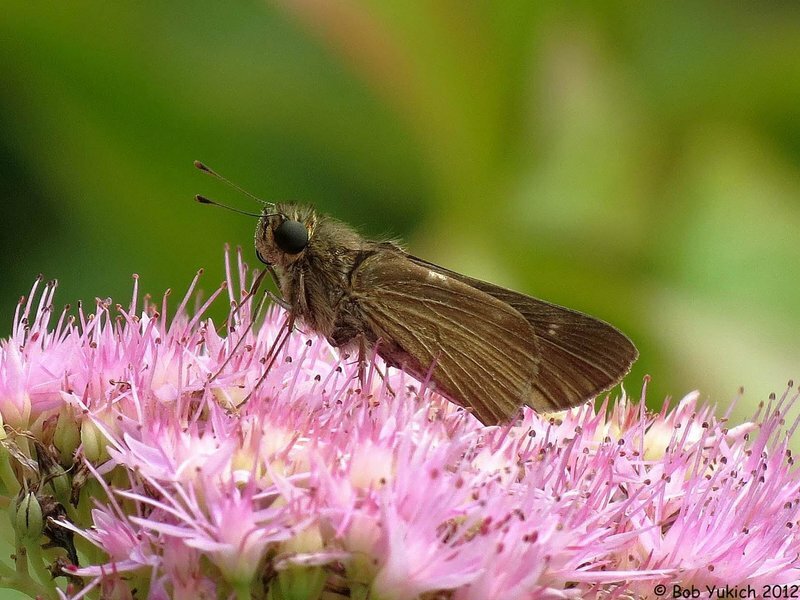 Nectar Source Genus: includes Carphephorus, Liatris, Diodia, Eryngium, Solidago, Pontederia, Elephantopus, Vernonia, and Lachnanthes. There is good butterflying among the flower rows at this farm market. 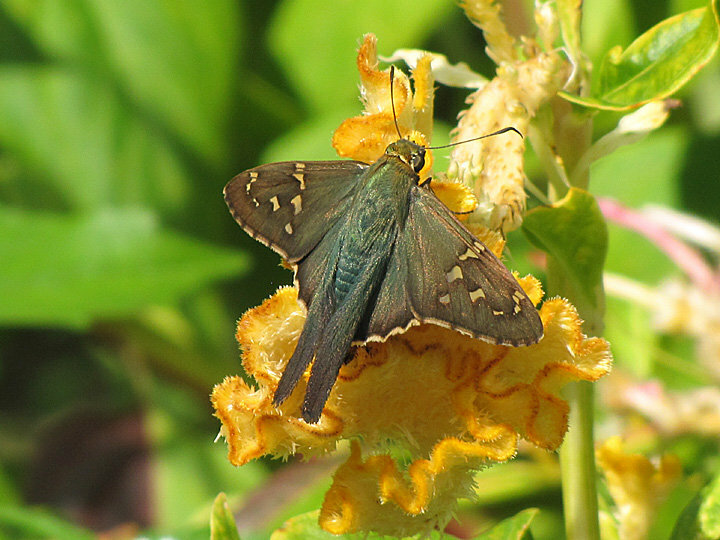 The long-tailed skipper is way north of its range. 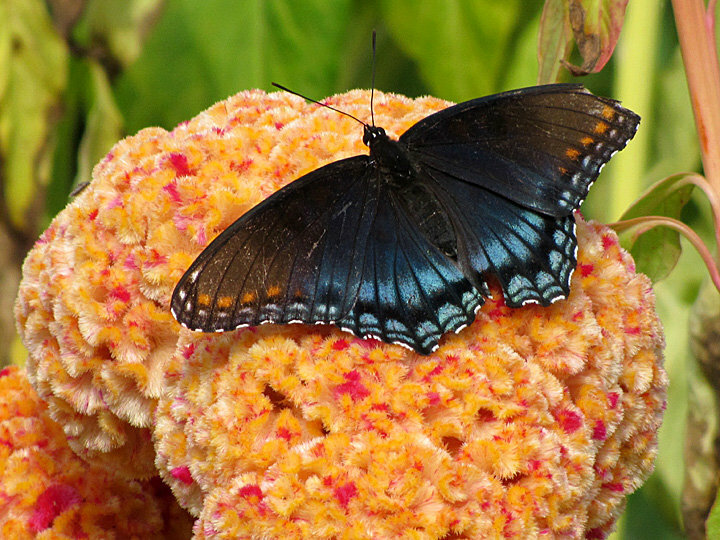 The red-spotted purple is in its range. The flowers make a great background for the butterflies. this incredible number passed through in just one late-day hour, from 4 to 5 p.m., a stunning sight of the migration of Monarchs! Nectaring on Garlic Chives in the Heartland Harvest Garden. There are virtually no Greater Kansas City records. Blackwater NWR obs. included the wildlife drive & Tubman Trail. The nectar sources, primarily goldenrod has been mowed all the way to water’ edge along the wildlife drive. No sign of Bronze Coppers which have been fairly common here in the past. Lots of activity! Possible White-M Hairstreak (bright blue above visible when flying) but not confirmed—all images of hairstreaks were Gray or Red-banded. Giant Swallowtail rare in county; the Question Marks, 2 of the Mourning Cloaks, and all of the Red Admirals and certainly all of the Monarchs appeared as migrants passing the mountain summit and moving steadily SW through the day, more so later in the day. Lots of butterflies feeding on zinnias at the Mustang trailhead parking lot. 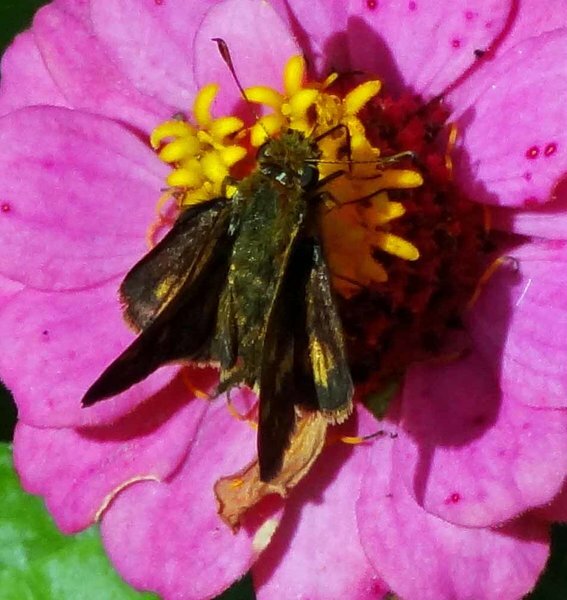 Found my first Ocola Skipper. Very few nectar sources. 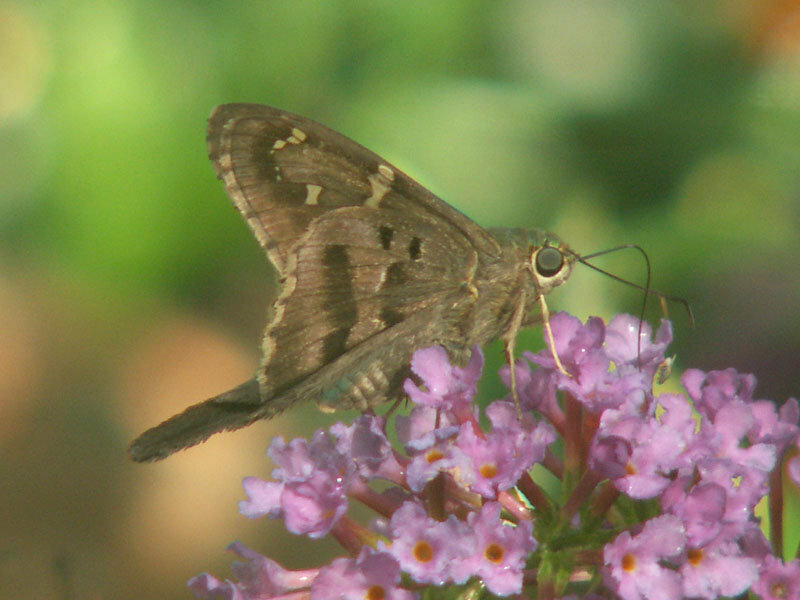 Carolina Satyrs, seen/photographed last week by other butterfliers, were absent. Found a Clouded Skipper caterpillar—I think. Activity winding down here, much lower than last visit. 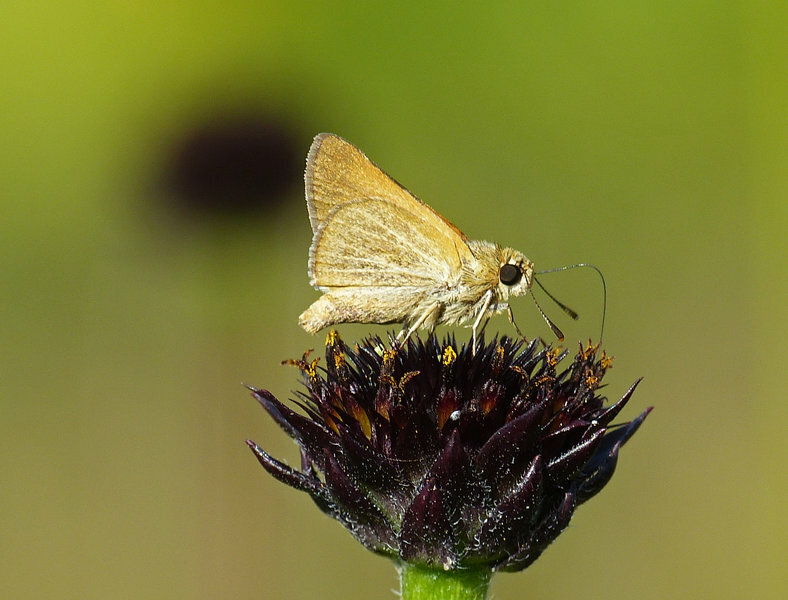 Ocola Skipper, 1st record for Toronto, northernmost record in Province of Ontario. Found first by Bob Yukich. Still present Sept. 24th. Photographs by Bob Yukich. Still plenty of nectar but temperature didn’t break 70. Fierys varied from worn to fresh. Fierys, Sachems, and Dainty Sulphurs hanging on even after a mild freeze. In addition there are dozens of Common Green Darners flying today. The temperature today just touched 70 degrees. 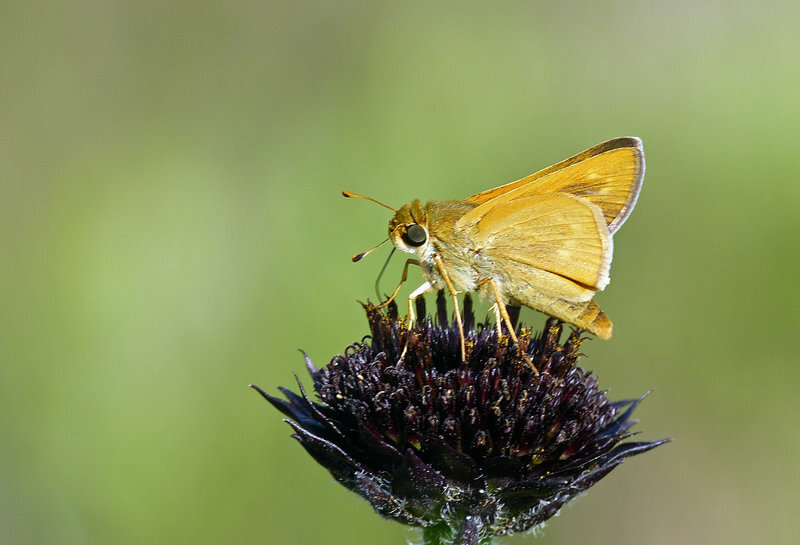 The Northern Pearly-eye was very late and the Fiery Skipper is the first record for me on the AT in Vernon. With Charlie Mayhood and Betty Aiken. 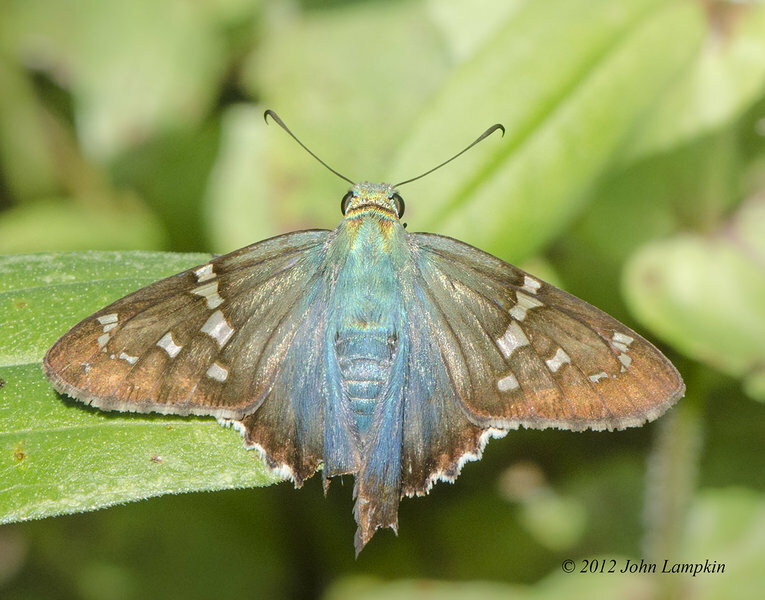 The Long-tailed Skipper, common in the deep south, is a rare stray to northern NJ. Betty found it in the gardens at Cedar Crest Retirement Village which borders the park. Mountainside Park is a dependable site for Little Yellow. Little Yellows increased since last visit. Found a mating pair. 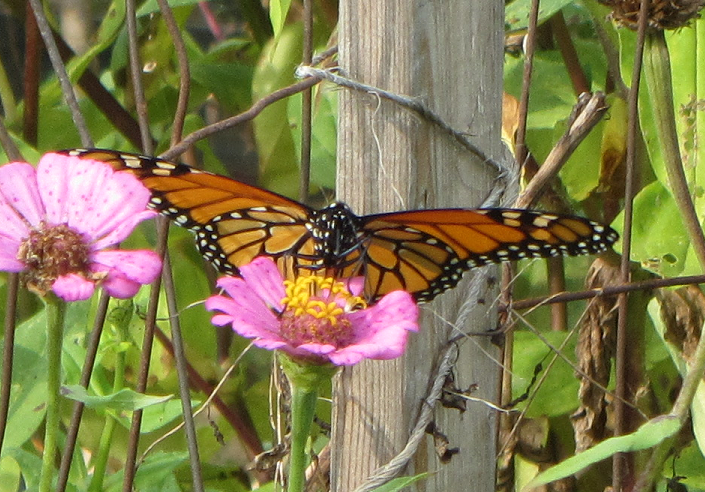 Monarchs continue migrating in good numbers, even on less than ideal weather days (damp, although mild). 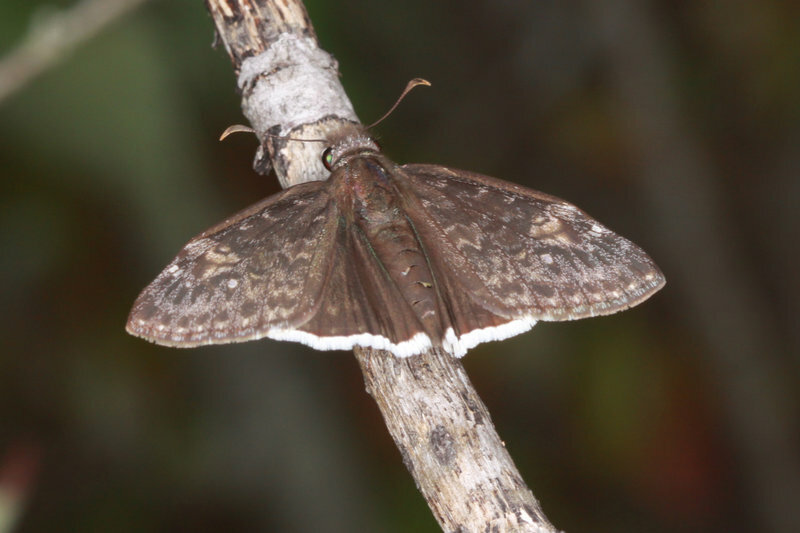 Horace’s Duskywing is resident at this site. 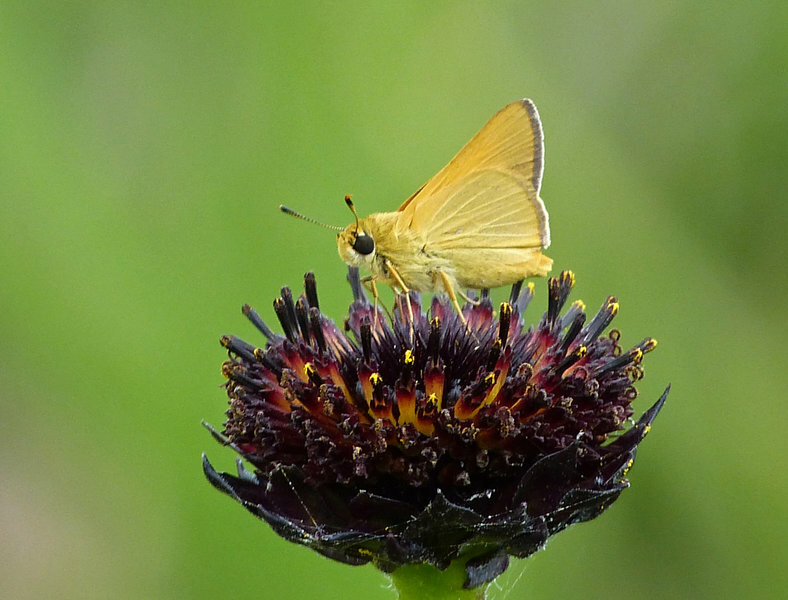 Fiery Skipper & Sachem in modest numbers considering the invasions of those species into the northeast now. Piedmont NWR, Barron Russell Rd. Piedmont NWR, Baron Russell Rd. Lifer Ceraunus Blue and Dainty Sulphur!! This area of central Florida has many acres of well-managed public lands including other units of Three Lakes WMA, Bull Creek WMA, Triple N Ranch WMA (all in Osceola), Kissimmee Prairie Preserve State Park (Okeechobee County) and Avon Park Air Force Range (Polk County). 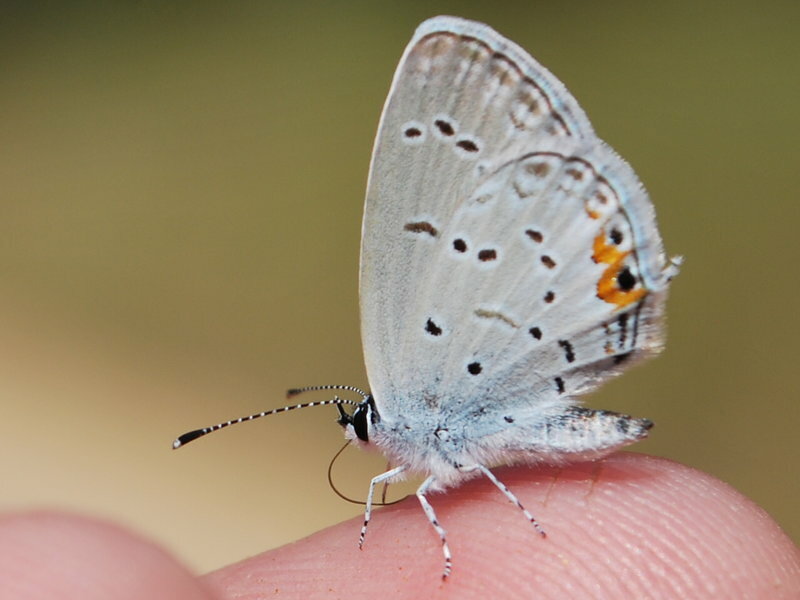 The White M Hairstreak was a lifer for me and only the 8th Wisconsin record. single cloudless sulphur spotted 4 separate times over 90 mins in this small preserve -same individual(s)? My first Mourning Cloaks of the fall season.